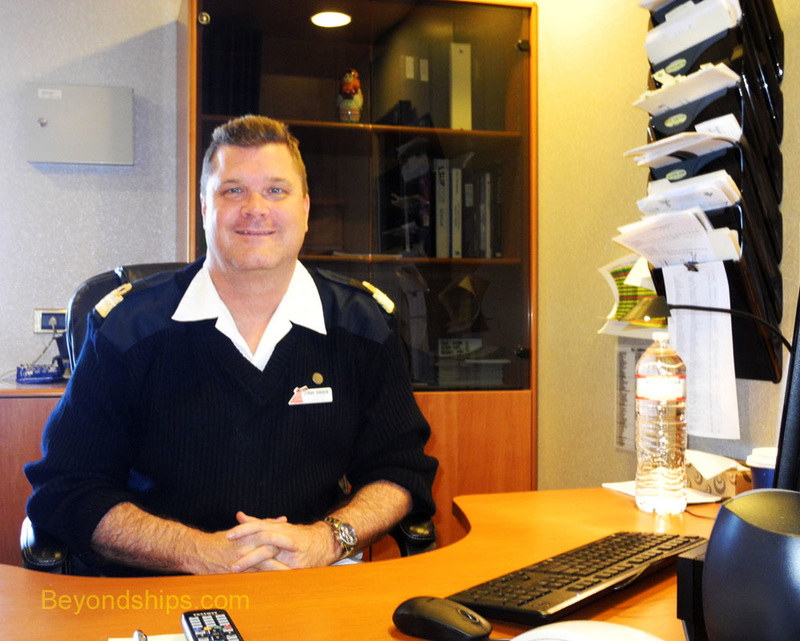 Dave Drier, Hotel Director on Carnival Conquest has no difficulty articulating the type of cruise experience that the officers and crew on Carnival Conquest seek to present. While the objective has not changed since the line was founded, the ships have evolved constantly. To this end, Carnival is in the process of adding a set of new features to its ships as they come in for their periodic dry dock refits. This program is known as Fun Ships 2.0. Perhaps the biggest of these changes was the addition of the Playlist Production shows and the changes to the ship's theater that had to be made to accommodate those shows. The Playlist Production shows are significantly different than previous production shows on the Carnival ships. For one thing, the cast is no longer composed of separate singers and dancers. Everyone does everything. These shows are also different because traditional scenery has been banished from the stage. In their place are giant LED screens. This allows the performers interact with animated figures and to perform against backgrounds of vivid reality or fantastic imagery. Another entertainment innovation was the conversion of the large aft lounge into the Punchliner's Comedy Club. Typically, Conquest will carry two stand-up comics who perform both family-friendly and adult R-rated shows. The new features added under Fun Ship 2.0 also included a number of complimentary dining venues. “We try and add things that are not always extra charge to the guests.” For example, Guy's Burger Joint (Chef Guy Fiere's premium hamburgers) and a Blue Iguana Cantina, where you can design your own tacos and burritos, were added as complimentary venues. Another addition was the complimentary Taste Bar where in the evenings guests can have appetizer size samples of various specialty dishes. On Conquest, this is an especially popular venue because of the impromtu performances by the three chefs who man the Taste Bar. Conquest also received some new drinking venues. 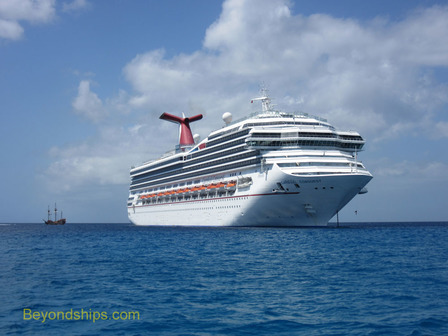 These included the Alchemy Bar on the ship's indoor promenade and the contrasting poolside bars, the Red Frog Rum Bar and the Blue Iguana Tequilla Bar.